I am still working on pages for my grandsons' 2014 book. 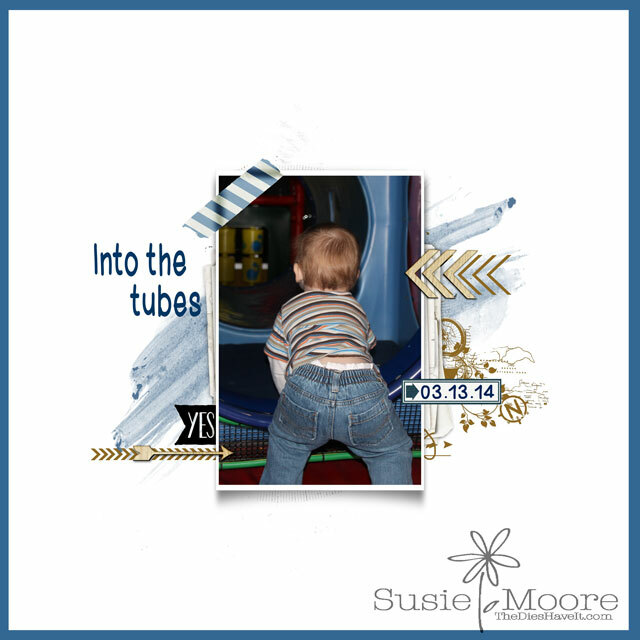 This was the first time little Andrew went to The Tubes which is a play area at a local church. His big brother showed him the ropes and then we was ready to climb in for himself. The corresponding page to this one has lots of pictures of both boys. But I just had to share this one page....because there is nothing cuter than a toddler with that little bit of diaper ruffle showing! See you tomorrow. Make it a great Saturday!